Rep. Elijah Cummings, D-Md., in a May 2017 file photo. Cummings is in line to lead the powerful House Oversight Committee if Democrats take the House next month. "What we've seen is not only a stretch of time when you have an executive branch that has been breaking norms, but you have a Congress who's sat by without consequence and allowed that to happen without significant accountability," said former congressional investigator Justin Rood. He's now with the nonprofit Project on Government Oversight, which trains Capitol Hill staffers in how to do oversight. Trump's personal tax returns — The president broke tradition by refusing to release them. As the majority party, Democrats would have the power to demand the returns. House Democratic leader Nancy Pelosi, D-Calif., recently told the San Francisco Chronicle that getting the returns would be "one of the first things we'd do — that's the easiest thing in the world." In particular, Democrats want to know what sort of conflicts of interest Trump's business interests present, particularly with foreign countries. Russia — Allegations that "the Russians may possess financial leverage over the president" would come under scrutiny at the intelligence committee, according to Rep. Adam Schiff, D-Calif., who's in line to lead the panel. Impeachment — Democrats could move to impeach the president, perhaps on charges arising from special counsel Robert Mueller's probe or on conflicts of interest or alleged violations of the Constitution's anti-corruption emoluments clauses. The House can impeach an official by majority vote. Conviction would require a two-thirds vote in the Senate. Pelosi opposes impeachment. Justice Brett Kavanaugh — The Judiciary Committee would investigate whether the new Supreme Court justice was truthful in his Senate confirmation hearings, says Rep. Jerrold Nadler, D-N.Y., the panel's ranking Democrat. If Democrats win the power to investigate, they'll be working in a fiercely partisan atmosphere. At the free market think tank R Street Institute, senior fellow Marian Currinder said investigators would need to resist liberal pressure to "drag Trump and his administration down and through the dirt." She said, "That's not going to help those newly-elected Democrats who are trying to run on a 'get things done and help the working people' agenda." Another advocate of caution is one of the Democrats' best congressional investigators, former Rep. Henry Waxman, D-Calif., a 40-year veteran of the House. He said the oversight should focus on three goals: stop the waste of money, hold people accountable and make government work the way it should. "The most important thing in my mind about oversight, having been there when Republicans saw the power of oversight as simply a way to advance their political interest, is simply not to do what they have done," he said. The primary House panel for investigations is the Oversight and Government Reform Committee. Its recent reputation is defined by the Republicans' politically charged probe five years ago into IRS mishandling of applications for tax-exempt status. 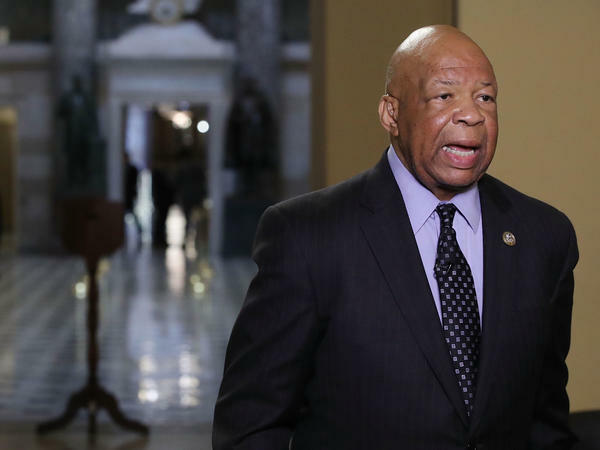 Now Rep. Elijah Cummings, D-Md., the committee's top Democrat, is weighing possible investigations. He told Politico he would "address these issues where our democracy is being attacked, such as Trump's efforts to tear down the CIA, to suppress the voting rights, to harm our freedom of the press, and looking at the census, things of that nature." The Oversight Committee's Democrats have kept track of their 64 motions — all rejected by Republicans — to seek subpoenas directed at the administration. At a single committee meeting last month, Democrats tried but failed to get subpoenas on issues ranging from the administration's family separation policy, to Commerce Secretary Wilbur Ross's testimony on adding a citizenship question to the census and the White House refusal to deliver a mandated report on security clearances. Even with subpoena power, Democrats could expect fights with the administration, which routinely seeks to withhold documents the committee wants to see. But there's a workaround: Freedom of Information Act requests by friendly nonprofit groups. Conservative watchdog groups honed the technique during the Obama administration. "It's actually very difficult to enforce a congressional subpoena in court," said Austin Evers, executive director of the progressive group American Oversight. "In contrast, [with] a Freedom of Information Act request, which we could file, we can go to court very easily, and force agencies to be transparent." But even the most energetic oversight wouldn't have enough time and resources to touch problems that date back further in the Trump administration, and which Republicans declined to examine. Rood, at the Project on Government Oversight, foresees the danger of "a lost generation of issues" that are important not for partisan scorekeeping, but for Congress's understanding of how the executive branch works. In the past two years, "I think there are things that have happened and changes that have taken place," he said, "and they haven't received the kind of scrutiny and the kind of consideration from Congress that I think is why the body exists in the first place."